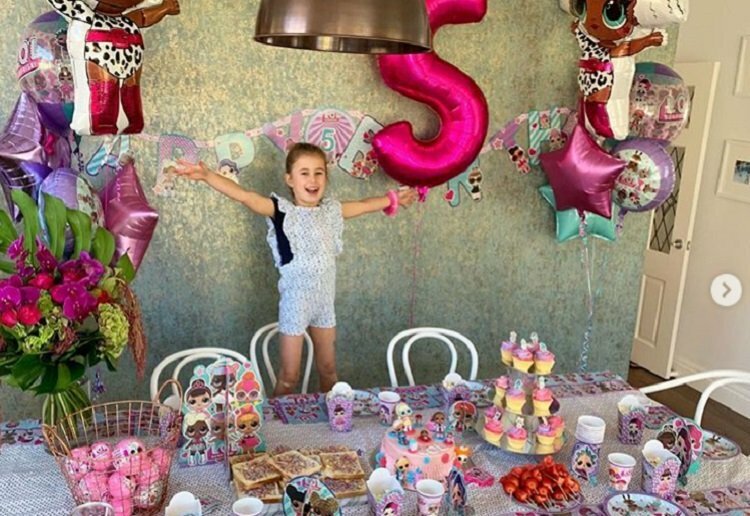 Bec Judd has caused quite a stir after sharing photo’s of the birthday party she threw for her daughter’s fifth birthday. People are claiming the cost of the event could have easily fed “a hundred homeless people for a month”. The 36-year-old mother-of-four posted photos of her daughter Billie’s LOL doll-themed birthday and party on Instagram. Parents were quick to point out that the event was ever-so-slightly over the top, with many parents expressing disappointment that they would never be able to provide such a decadent party for their own children. Happy birthday to our one and only Princess. The LOL Doll obsession is real…. for all of us ???????? While other parents soon jumped to Bec’s defence saying there was nothing excessive about it at all. TBH to me it just looks like one of those little party kits you can purchase at a party shop with all the themed goodies. It appears to be a plastic table cover, paper cups, paper plates and lolly boxes, plus a few paper decorations. With some cake and fairy bread. Nothing overly excessive there! “Kmart accessories, home made fairy bread and fruit skewers, a cake from the shop around the corner and party supplies from the discount party shop – hardly lavish!” Good on you Bec! Do you think it was a bit too much? Who cares! A kid should be spoilt on her birthday. I bet she will remember it forever. People really need to curb their immediate need to criticise. They are very wealthy – this is probably not over the top for them. Us mere mortal might not be able to do this for our kids but how lovely for this 5 year old – she will remember this always! I don’t think this is a lavish party at all. Now if there was pony rides and a merry-go-round I’d believe it. This would have cost a lot less than a dinner party where people would spend a lot of money on alcohol. To each their own – so long as Billie isn’t excessively spoilt because she is the only girl in this family of children, why not. It’s hard to know without being there, but it’s certainly not as bad as we’ve seen from other celebrities. Those LOL dolls should be discouraged. So much plastic and waste and yes they are expensive. people need to get a life! I threw a special birthday for my daughter’s 5th don’t see the problem it’s not something you do all the time! People should just not follow Bec if they don’t like what she posts. I agree with her… anyone can create a magnificant party on a shoestring budget. I’m wondering too if the distributors of LOL’s may have chipped in with some product to Bec to share with her daughter. They’re getting the most out of this. The birthday celebration is simple compare to our country where we hire venue in the hotel, hire party decorators, professional photography,etc to make our the birthday of our children special. Honestly I don’t see anything wrong about it. Doesn’t look excessive at all. Looks like a great party for her daughter. Seriously fun police, she wanted to do something special for her daughter, she can do it and if she can’t spoil her daughter on her birthday, then when?! I have themed parties for my kids every yr. I even try to make the food match the theme. I don’t see any issue what so ever in what she has done. If that’s the party she wants to throw for her daughter that’s amazing! It doesn’t look much more than what I do.